Copenhagen has four small artificial lakes that cut through the city. The oldest – Peblinge Lake – is almost 1,000 years old. 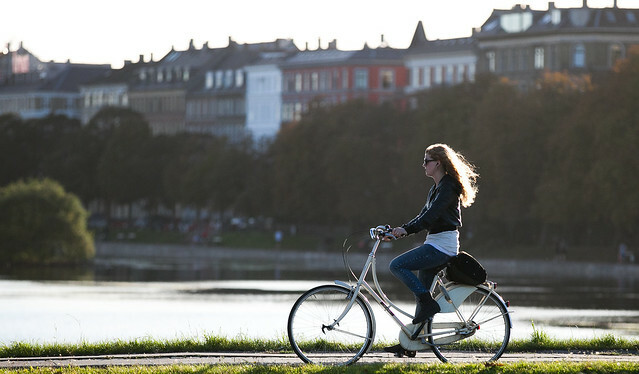 Today they are a haven for Copenhageners and thousands of cyclists bike along the lakes every day. 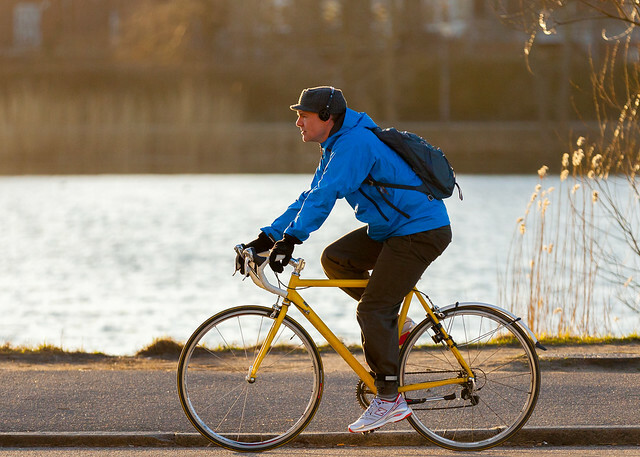 Only recently all four lakes were officially opened for bicyclists. 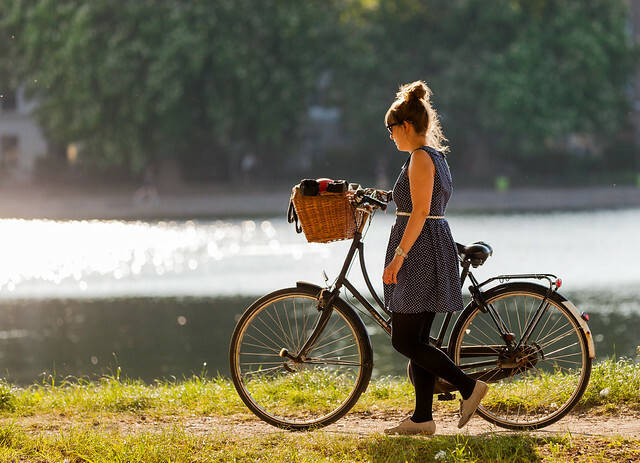 However, people had already been biking along the lakes for decades. 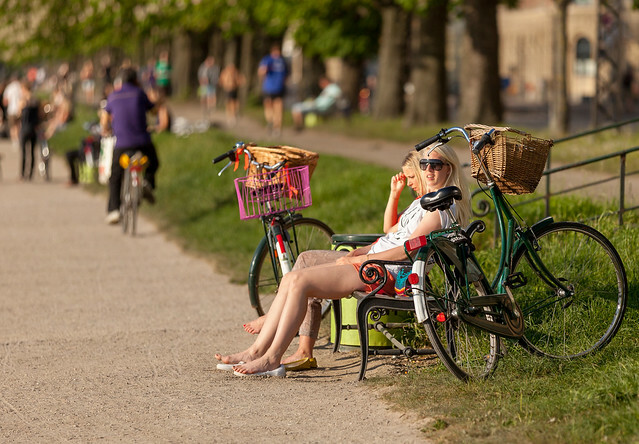 The most trafficked bike street in Copenhagen is one of the bridge crossings (Dronning Louises Bro). But there are also lots of places to just bask in the sun.